Indianapolis and its neighborhoods are a lot like an old family scrap quilt– colorful, unique connected pieces, (in various states of wear and repair), all contributing to the whole– yielding a one-of-a-kind work of art. Confucius said: “Everything has beauty, but not everyone sees it.” A wonderful sentiment to keep in mind when visiting old Indy neighborhoods. Though specifically commissioned pieces of art can be a wonderful addition or amenity, the truth is that in a city like Indianapolis, art is all around us. The experiential art of a neighborhood takes a multitude of forms–a simple, well-tended flower bed; the wafting scent of a nearby bakery; the fanciful font of vintage house numbers–inspiration and artistry are rarely far. These simple pleasures enhance and brighten our lives. The stories of these places can be just as instructive and powerful: confirming, inspiring, or perhaps warning. We’re so hyper-stimulated these days that the everyday treasures populating our paths often get lost in the buzz and din of our “so busy” lives. The next time you go for a walk, allow the incoming to filter through the prism of each of your senses with intention and wonder. 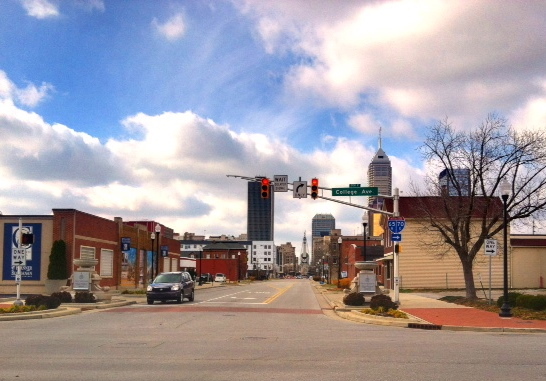 Indy’s urban core neighborhoods, in particular, are packed with inspiration and rich with stories. 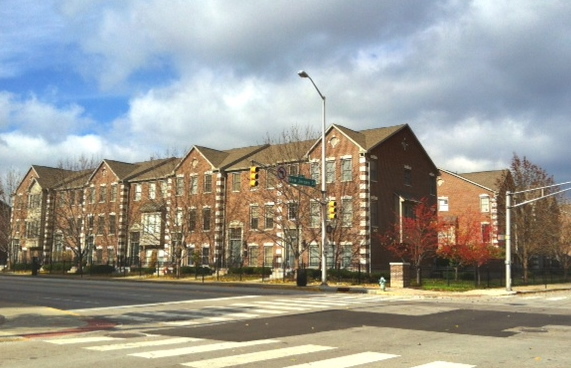 One of the closest neighborhoods to the heart of the city is the Cole-Noble Neighborhood, immediately east of the city’s epicenter, with almost half of the neighborhood within the boundaries of the original Mile Square. 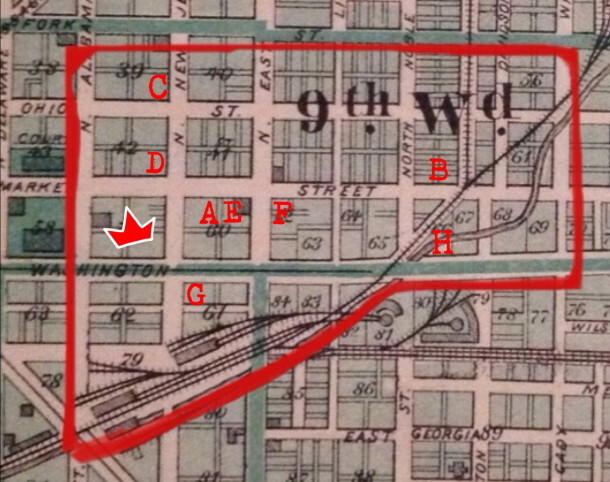 The Cole-Noble boundaries are: the east side of Alabama Street to the west; I-65 to the east; Miami Street to the north (the alleyway above Ohio Street) and Washington Street to the south, but including the train tracks to the south (according to one source). The name Cole-Noble represents two mostly-forgotten stories. The large Cole Motor Car Company was a manufacturing concern located on the southeast border of the current neighborhood. 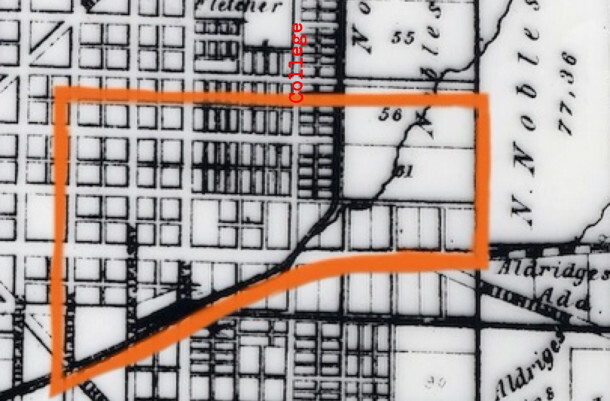 Former Indiana governor, Noah Noble and his family owned the northeast portion of the current neighborhood’s geography, and farther eastward. 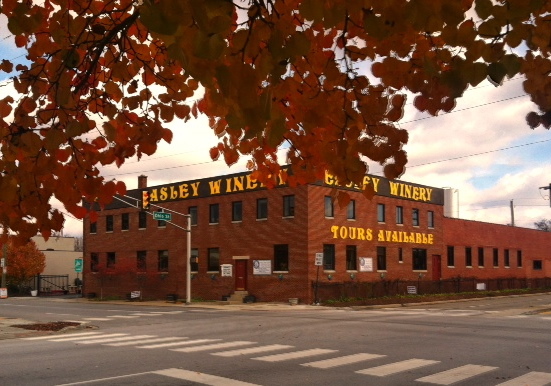 Cole-Noble- Easley Winery, northeast corner of College and Ohio. Strands of art and culture have been pulled from the bounds of Cole-Noble and braided into the larger artistry of the city’s history throughout its existence. From the platting of the first square mile, commercial and residential enterprises often lived side by side, and this neighborhood is no exception. 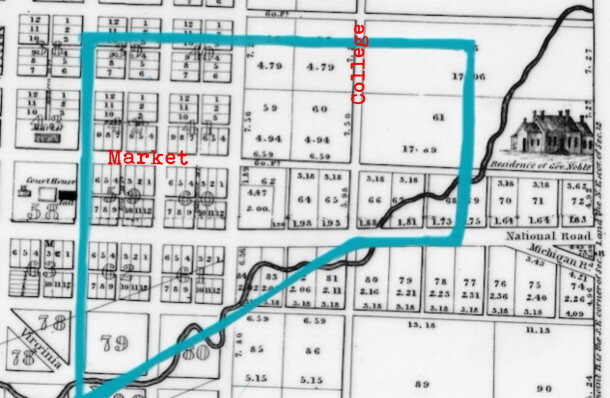 As the city’s population expanded and greater transportation options became available, the city limits increased–neighborhoods developed farther afield–and the areas closest to the heart of the city became dominated by commercial interests. 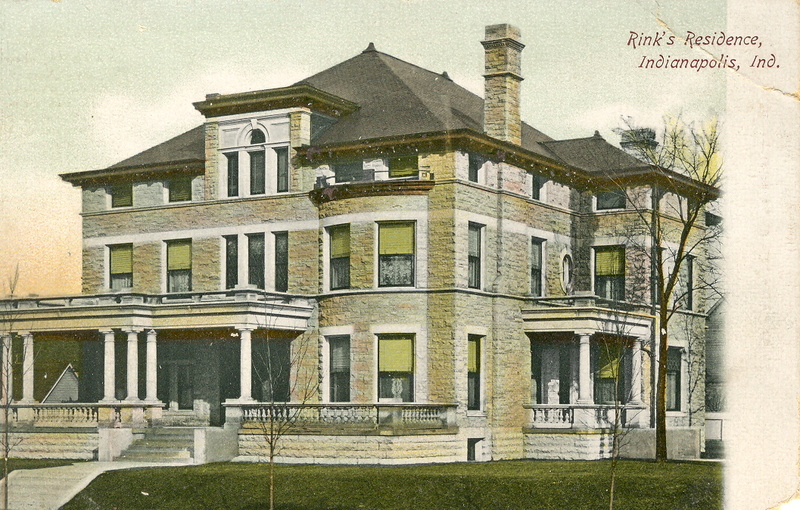 Rare Evidence of the first residential era of Cole-Noble Neighborhood, now used for a business. There is limited remaining evidence of the single-family residential past, but the present and future are well on their way to repopulating the area, breathing new life and adding exciting chapters to the city’s history. 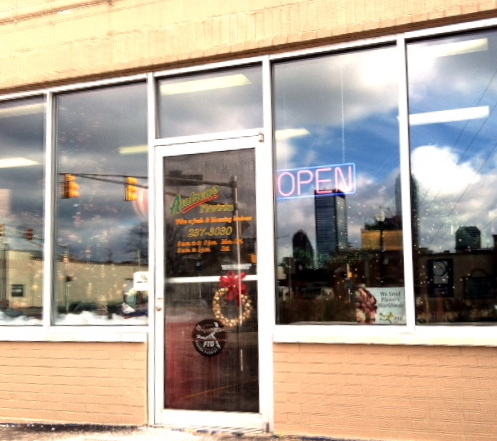 Much of the rich commercial enterprise of the neighborhood has changed over the past dozen or so decades. What had been packed with manufacturing or larger commercial entities is no longer, but the smaller businesses with great ties to the culture of the city thrive here today. 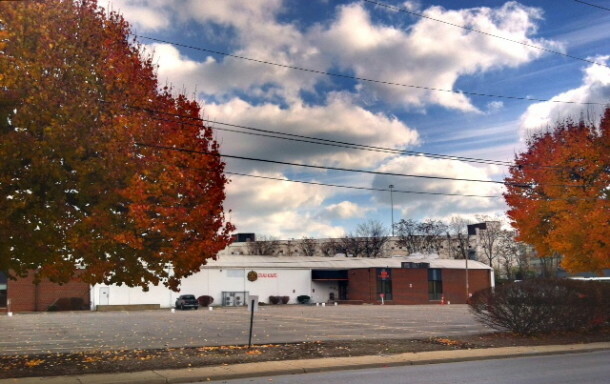 Highlights from the former commercial lifetime within Cole-Noble included prominent printing company, the Hollenbeck Press; the Home Elevator Company; Taggart Bread (without which, there would have been no Wonder Bread); Cadle Tabernacle (where Carole Lombard spent her last night raising funds for War Bonds and where Martin Luther King, Jr. once spoke); the Printing Arts Company; Indianapolis Post Card Company; more recent past saw this neighborhood as the home of the Pacers and the site of Elvis’ famed last concert; there was also an Indianapolis branch of Pabst Brewing–coincidentally, mere yards from where Sun King Brewing now stands. These are the little connections that inevitably crop up in older areas with stories to tell. You’d be surprised how often a similar business will land in the same block or building, despite being decades apart and by sheer happenstance. It just takes some tenacity and time to mine these little diamonds of information. 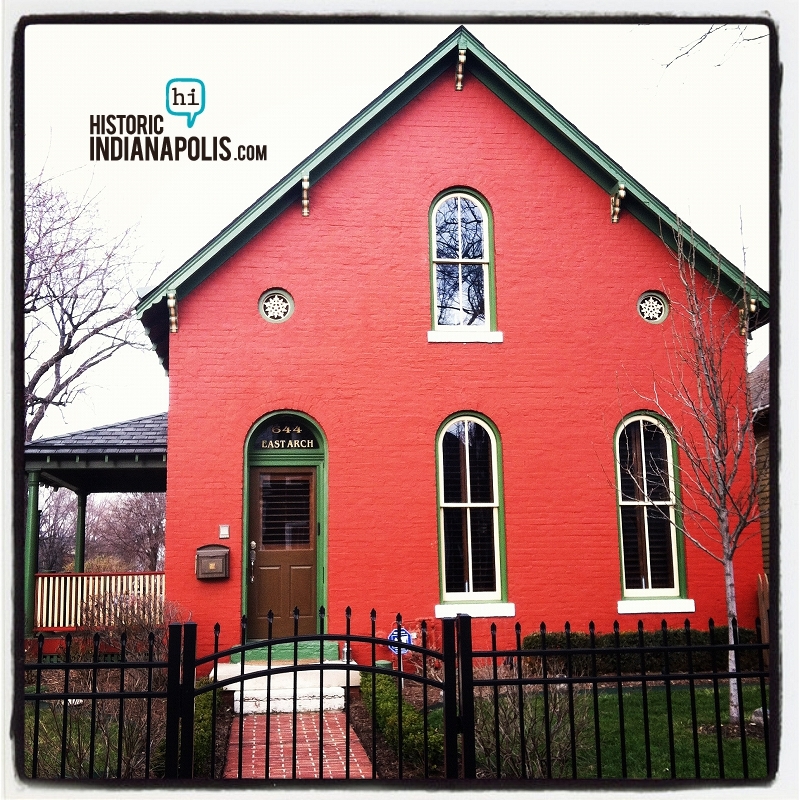 When you take the time to carefully examine the blocks, buildings, businesses and background of an urban Indianapolis neighborhood, you may find it as fascinating and colorful as any museum. 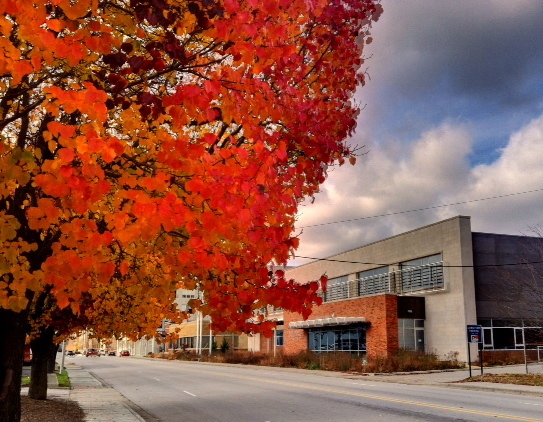 Today the neighborhood is home to aforementioned Sun King Brewing, Easley Winery, Maxine’s Chicken and Waffles, a florist shop, and a number of innovative creative businesses- like Trendy Minds and Doris. 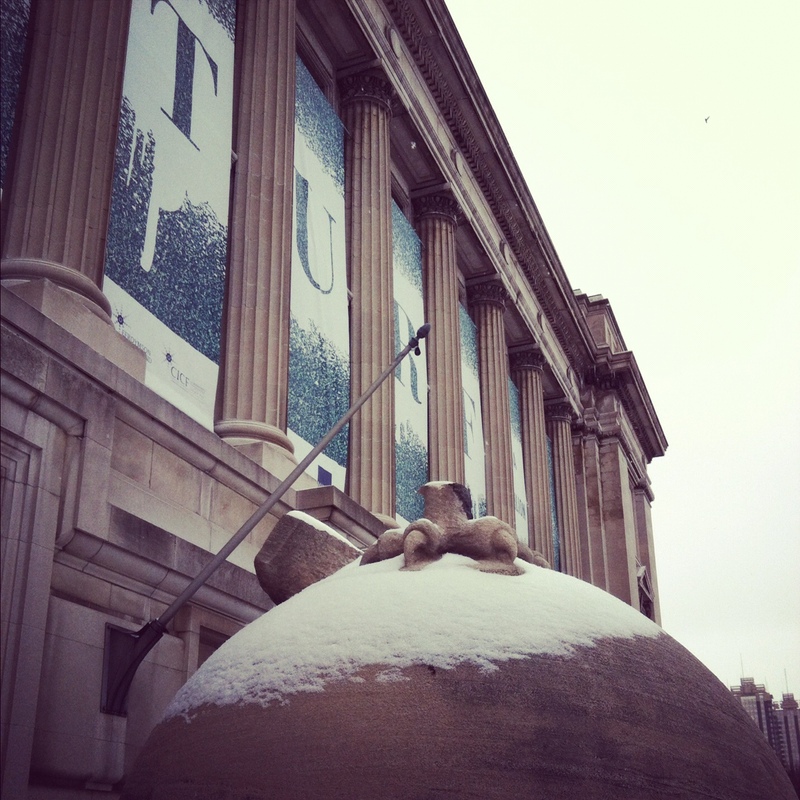 Cherry on top: the Cultural Trail runs right along one of its borders. 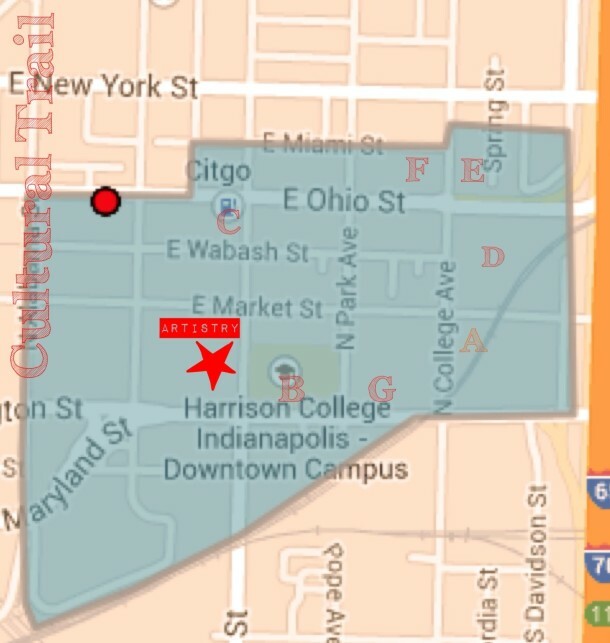 Not to mention how easily accessible other city favorites are: City Market and City County Building just outside the neighborhood boundaries and easy reach of Mass Ave, as well as the Circle and Wholesale district. There is also a growing residential contingent in Cole-Noble. A new era is upon the neighborhood, with the addition and opening of Artistry, an innovative new concept in city apartment-dwelling, weaving art and culture into their building. 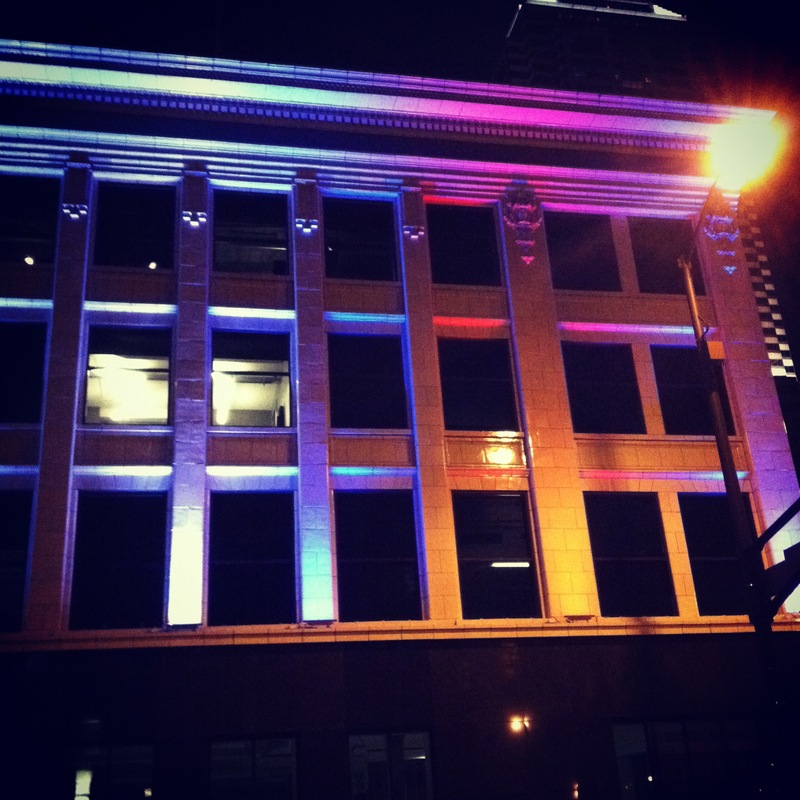 Tenants will be part of a building filled with art and artistry. The apartments are accepting applications now and are due to open soon. 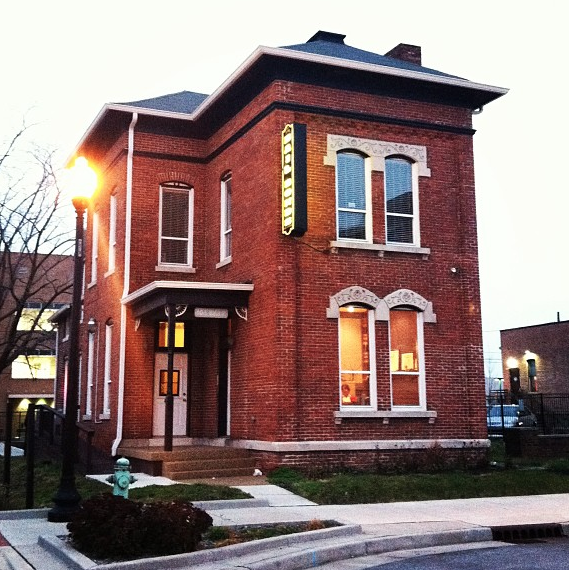 The first opportunity to for everyone to check out their on site gallery will be open from 6-9 on December 6 for First Friday. Check out a sampling of the area’s evolution through a series of photos and maps that follow. For those who want to be part of this burgeoning area, it has plenty to recommend it. Walking distance to the Farmer’s Markets at City Market; the Circle and beyond to the Wholesale District; Mass Ave and its many diversions–with the Cultural Trail running right through it. 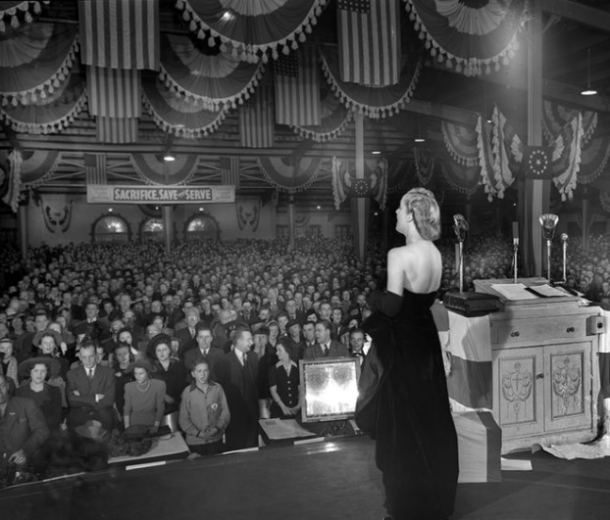 It’s ghosts include Elvis’ last concert, the place Carole Lombard spent time on the last night of her life–same place Martin Luther King Jr. once spoke–and some major printing concerns of the last century, with much more to be discovered. 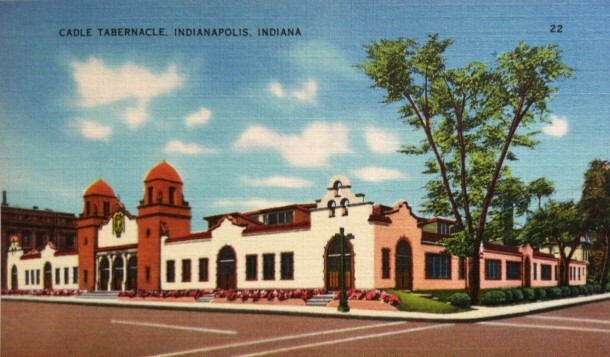 PreviousIndianapolis Then and Now: The Circus comes to the 200 Block of Massachusetts Ave. The photo “Looking north on Meridian to the Circle” is upside down. In the summer of 1939 I was 7 years old, had just finished 1st grade at Flackville School, and lived northwest of the city on U.S. 52 across from the Hoosier Airport. Being the tag end of the depression, strange people wandered by our house. A guy knocked on the door selling “Hawaiian Guitars” (now steel guitars) and lessons on the same. For the $5.00 Mom gave the man (a noble payment for the family of a truck driver in 1939) we got a cheap guitar and a handful of private lessons at a music store A HALF-BLOCK WEST OF CADLE TABERNACLE (you wondered where this was going). Each Saturday for a year, this meant Mom stopping the Greyhound Bus from Chicago, taking her and me to the Bus Station on Illinois Street, walking East on Market to the music store, getting the private lessons and later group lessons for $0.50 each, walking back to the Bus Station, splitting a 7 oz. Dr Pepper (times were tough), getting back on a bus and returning home. Ate up most of a Saturday. I loved it! Gave me my start as a musician. What a wonderful story, Jack! Thanks for sharing. We love hearing things like this from those who were there! Forgive my ignorance, but did you continue in music? and p.s. we have featured Flackville School before–my mother attended there for a time.